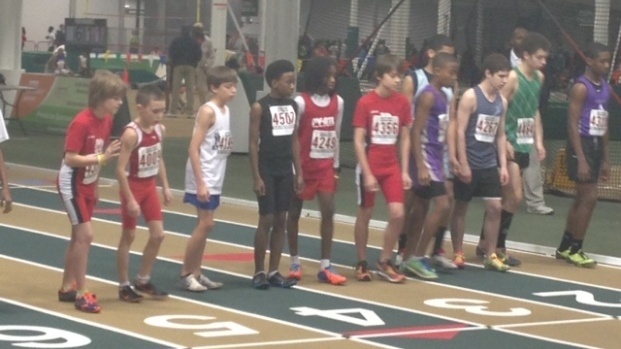 10 year old All-American and reigning double indoor AAU National Champion Noah Castro and his sister Barkley brought home 4 gold medals and 1 silver medal at the USATF South Zone Youth Championships held at JDL Fast Track in Winston-Salem, North Carolina last Saturday 2/17/2013. 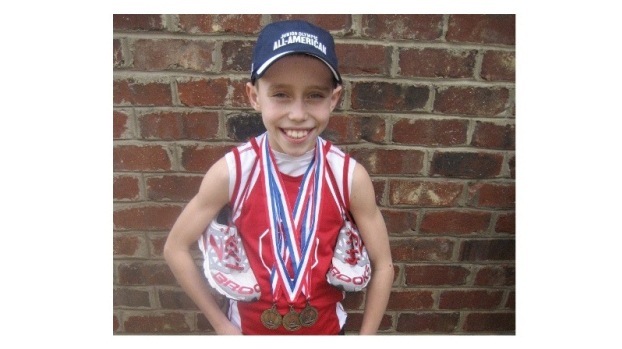 Noah turned 10 on Dec. 31, 2012, but since he will turn 11 in 2013, he must run in the 11-12 age group for USATF events. This makes his 3 gold medal accomplishment even more remarkable. Noah is the defending double AAU Indoor National Champion in the 1500m and 800m. Now that he will compete in the 11-12 year old divison, he will get to set his sights on the 3000m as well to add to his resume which is already quite lengthy. Noah won the 800m in 2:36.28, the 1500m in 5:10.48 and the 3000m in 11:05.17. Nothing more to say, but Amazing. Noah's sister, Barkley Castro, competing in the 17-18 age group won the 800m in 2:29.50 and took the 2nd place silver medal in the 1500m with a time of 5:19.77. Barkley placed 5th in the 800m and 9th in the 400m at last year's 2012 West Virginia State Championship.